Straight from a chic petit café in Paris to your home; Café Round Folding Table and Side Chairs Collection is an excellent choice for those who love simple, elegant style! 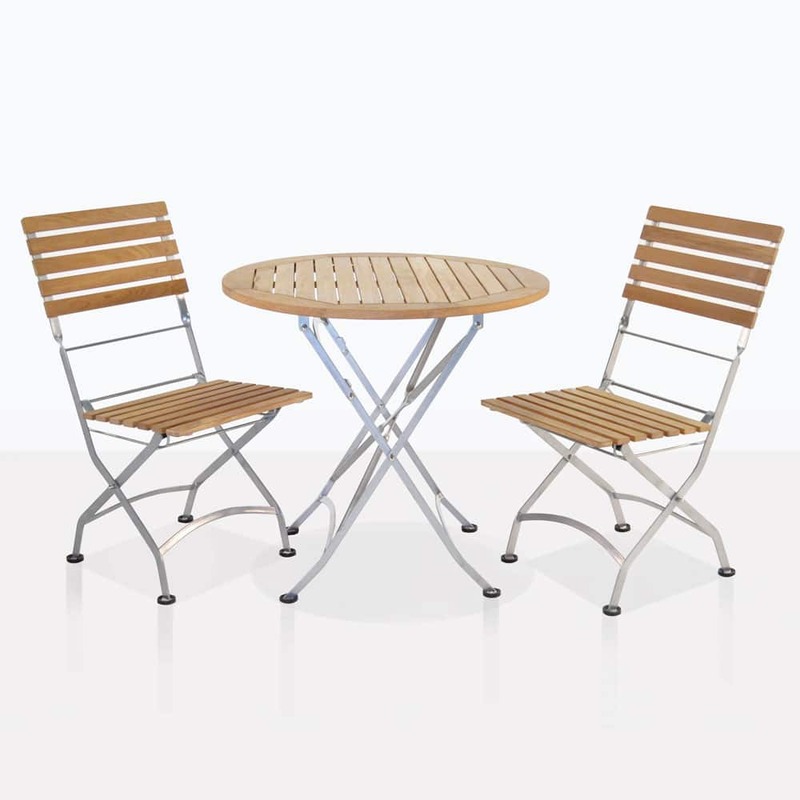 Sit, relax and enjoy your brunch on this charming intimate dining set made up of our 32″ Café Round Teak Folding Table and 2 Café Teak Folding Chairs; a wonderful addition to our amazing collection of patio and café furniture at Teak Warehouse. Practical and appealing; this setting folds away for convenient storage, though we have a feeling you wont want to put this stunning set away for long! 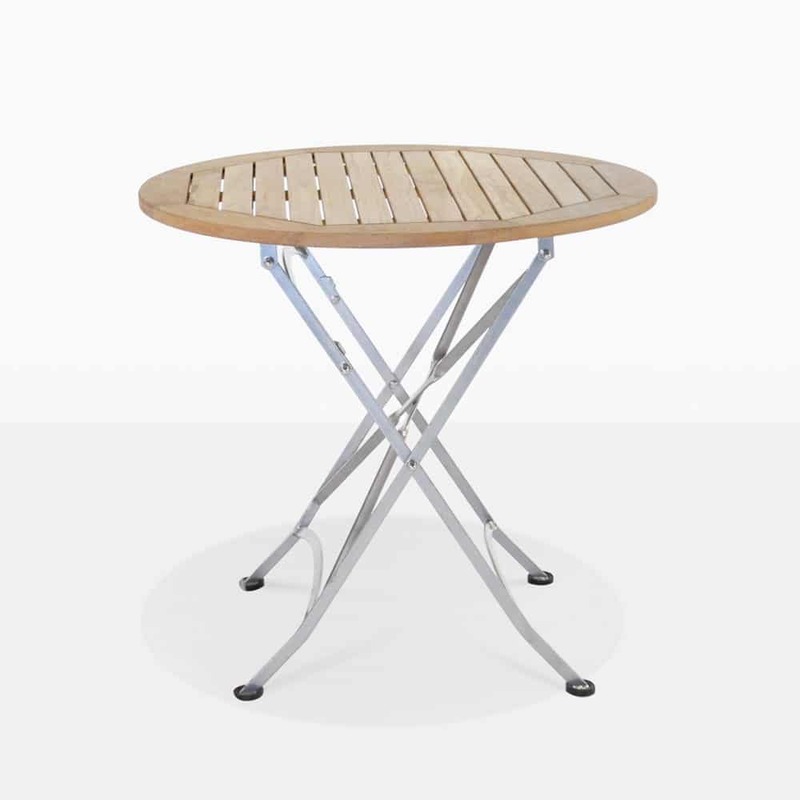 A perfect collision of A-Grade Teak and powder coated steel make for a romantic, whimsical European style of furniture that is hardy and pragmatic! Place on your porch, set up for morning coffees or light meals. Fold it away and take it with you on the romantic beach trip or picnic! 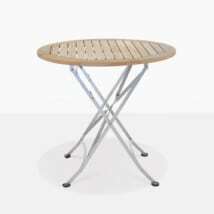 Or bring indoors for an extra serving table when hosting large parties! The teak planks of the table and chairs along with the structure of the powder coated steel make this set appear light, airy and refreshing. 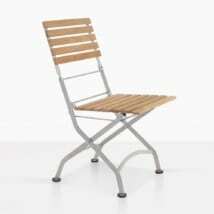 The construction is of the highest quality and the materials make the pieces extremely sturdy and durable. 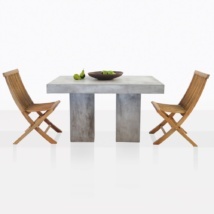 The steel construction plays beautifully with the warm tones of the teak. 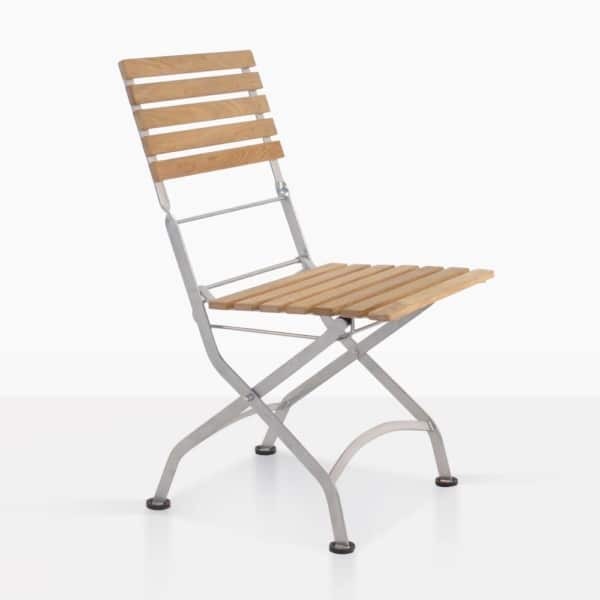 A-Grade Teak is the top quality outdoor wood, highly sought after because of its natural rubber and oil content making for a long lasting and gorgeous furniture! 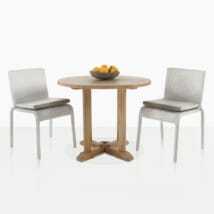 The Café Collection also features a Café Rectangle Folding Table and Arm Chairs. Each piece folds for easy and convenient storage. Enjoy dining on your veranda today!